In the last few months, Southwest Airlines sales have seen a significant drop after over 10,000 of their flights have been canceled this year. The cancellation’s have had a $150 million impact on business during their first quarter. 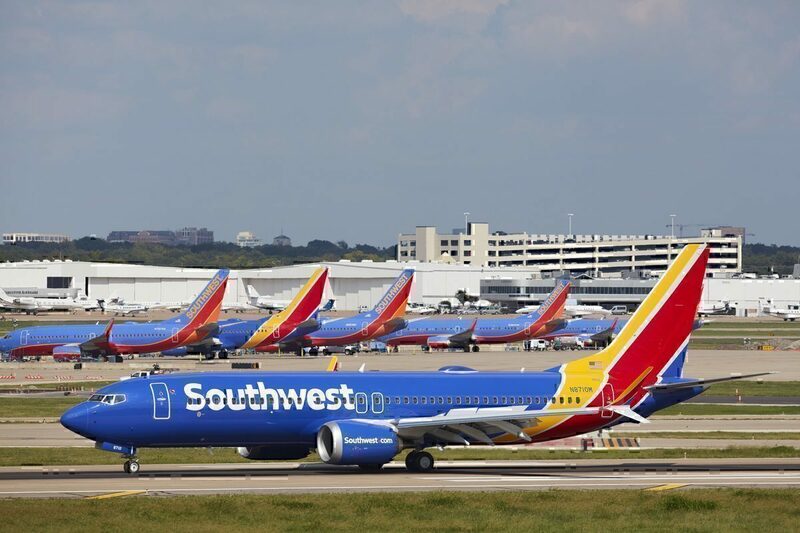 Southwest warned investors on Wednesday that they have canceled over 10,000 flights since mid-February due to the worldwide grounding of the 737 MAX, as well as inclement weather and its dispute with the mechanics union. With 34 Boeing 737 MAX aircraft in their fleet, Southwest is the largest North-American operator of the type. The grounding of the MAX was clearly going to have a significant effect on their operation. 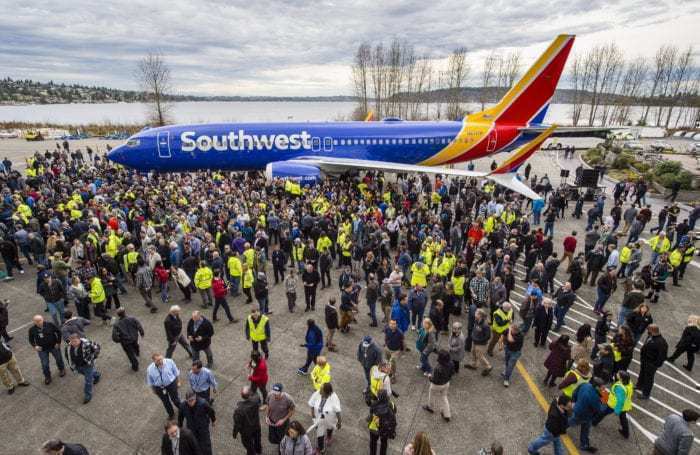 Southwest confirmed this, reporting 2,800 of their canceled flights were caused from the 737 MAX not being in service. It was also revealed that Southwest will cut back on the number of flights through April 20th in anticipation of a continued grounding until a software fix has been been certified by the FAA. Southwest said it had to cancel 3,400 flights due to worse than expected weather during their first quarter. Currently, Southwest and the Aircraft Mechanics Fraternal Association are negotiating a contract following disputes over terms and labor issues. Southwest lost a total of 2,800 flights during the quarter because of “unscheduled maintenance disruptions arising from contract negotiations” with its mechanics union. After six years of negotiations, the union will soon vote on the outcome, hopefully ending this disruption for the airline. The first quarter for Southwest has been a difficult one, costing them an additional $150 million in three months. As well as the disruptions the airline faced, they were also feeling the effects of the US government shutdown. The shutdown had a $60 million hit on Southwest, since fewer government employees were flying. It also delayed its long-awaited Hawaii service because key Federal Aviation Administration (FAA) employees necessary to complete the certification process were laid off. 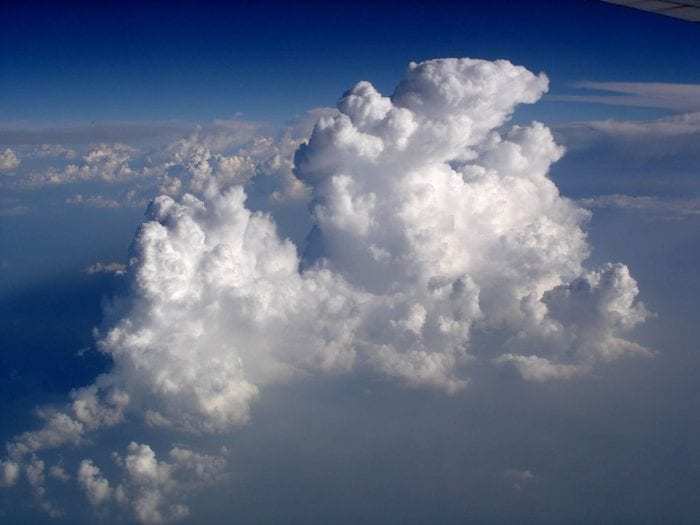 “As a result of the cancellations, the Company now estimates its first quarter 2019 year-over-year available seat mile (ASM, or capacity) growth to be approximately 1 percent, compared with its previous growth guidance in the 3.5 to 4 percent range,”. Financially, this quarter has been a rough one for Southwest. There’s no doubt they were expecting to have a successful start to 2019, however that plan was quickly crushed thanks to multiple unexpected disruptions. On a positive note, Southwest was finally able to commence their long-awaited service to Hawaii. Hopefully, there able to turn things around for the second quarter of 2019. Do you think Southwest will have a better second quarter then their first? Let us know in the comments!